Music has never been so easily available, but the flipside of downloads and streaming has been an erosion of fidelity. Lossy formats – MP3, AAC, OGG – may have enabled the digital music revolution, but they’re a compromise, removing data from the CD-quality source files. The aim is smaller files (and therefore faster downloads) that don’t negatively impact on the music. Any audiophile will tell you, though, that it’s easy to tell the difference between a CD track and a lossy copy. You lose detail and dynamics; instruments are less defined, vocals sound less natural. We’ve embraced worse-sounding music for the convenience of easier access. The good news is the technological limitations that necessitated lossy formats have melted away. We now have the space to store high-quality music, and the connectivity to stream and download it. Hi-Res Audio (HRA) now betters even CD quality. CD audio arrives from a compression process that samples the left and right channels of a recording 44,100 times per second – 44.1kHz – and captures samples as 16-bit digital snippets. HRA sampling rates are 96kHz or even 192kHz, and samples are normally recorded in 24 bits. With more samples per second, the finer the slices captured from the original recording; an increased bit-depth means more information in every slice. With more data, you can get closer to the original recording, and while a four-minute 24-bit/192kHz song may tip the scales at 200MB, that’s no issue for modern internet connections. Fortunately, hardware exists now to make this second digital audio revolution possible. Many Android smartphones play HRA out of the box, while an iPhone with a Lightning port can also play HRA if paired with an app like Onkyo HF Player and an external DAC such as Onkyo’s DAC-HA300. Some Onkyo headphones are certified and tuned to deliver HRA’s extended bandwidth, too, and you can add HRA streaming to a home set-up with the likes of Onkyo’s C-N7050 combined CD player/streamer, or the X9 speaker that plays HRA from your PC via its USB connection. With music services increasingly selling HRA files and streams, the pieces are all in place: music, hardware, and the technology that brings everything together. Now is the time to embrace Hi-Res Audio – you deserve it. The Onkyo range is available now. 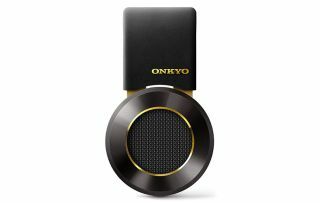 For more information on the products, visit www.onkyo-headphones.com and www.onkyo-speakers.com.